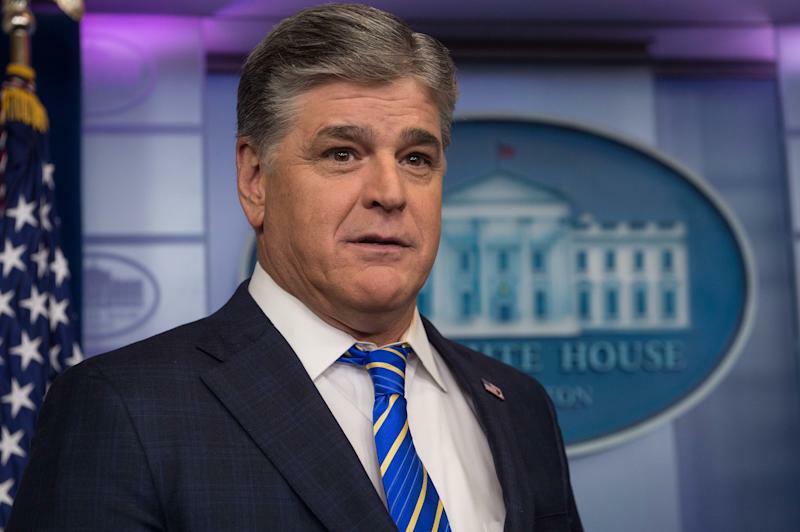 Earlier this week, Fox News declared its “full support” for Sean Hannity after it was revealed the conservative commentator was also a client of Michael Cohen, PresidentDonald Trump’s personal attorney. Although Hannity has spent months defending Cohen on his nightly program, his failure to divulge such information to his viewers or to his bosses has not jeopardized his standing with the network. It does make clearer, however, the extent of Fox News’ corruption as a propaganda mill for the Trump presidency and its dishonesty as a news organization. That corruption was evident in both Hannity’s actions and Fox’s defense of itself, as the network said it was “unaware” and “surprised” to learn of the Hannity-Cohen connection. It’s a shocking admission for what is supposed to be a news outlet. It’s also fully in keeping with an organization that is more devoted to stoking conservative indignation than to carrying out truthful investigations and that has a history of turning a blind eye to inconvenient truths. As David Frum pointed out in his recent bookTrumpocracy, this is the same media organization that claimed “nobody knew” its former chief Roger Ailes had been sexually harassing women in its own offices for decades. The channel’s coverage of the president, particularly in its heavily watched morning and evening opinion shows, provides a steady stream of cheerleading and flattery for the president who they know is a regular viewer. Trump has responded in kind,lavishingfrequentpraiseon Fox. In this mutually reinforcing relationship, it’s hard to say who the sycophant is. Either way, it’s a sickness that has despoiled both. Aside from the puffery, the network engages in constant counterprogramming against damaging or unflattering news about the Trump presidency. In just one recent example, for more than 12 hours following White House staffer Rob Porter’s resignation after his two ex-wives accused him of abuse, Fox News did not mention his name. Instead,Fox & Friends, the morning program thatoften gives Trump materialfor his first tweets of the day, devoted its show tocriticizing opponentsof Trump’s plans for a military parade and other unserious matters. In February, Fox’s coverage of that month’s two major events ― the school shootings in Parkland, Florida, and Robert Mueller’s indictments of 13 Russian nationals charged with interfering in the 2016 election ― amounted to little more than aprotracted defense of the president. It’s worth remembering though that the network didn’t always operate as a shill for Trump. During the 2016 Republican primaries, the network had several Trump skeptics in its lineup, including George Will and Megyn Kelly, and the coverage leaned more favorably toward the candidates Ted Cruz and Ben Carson. A debate for the Republican presidential contestants hosted by Fox in August 2015 showed such tough questioning of Trump from Kelly, Bret Baier, and Chris Wallace, that Trump laterlashed out at Kelly, accusing her of having “blood coming out of her wherever.” He then boycotted the next Fox debate, thetype of vindictive movehe’s used in the past with business associates and family members alike to get what he wants. After Trump won the Republican nomination, Fox News also fell in line ― at least in part because its audience had become his supporters. Trump critics Megyn Kelly and George Will were out. In their place, Trump enthusiasts like Tucker Carlson, Eric Bolling, and Nigel Farage were given enviable slots where they could bang the Trump drum loudly. Through it all, Sean Hannity remained Fox’s strongest Trump backer. An early supporter during the Republican primaries, Hannity’s boosting on air went into overdrive once Trump took the White House. Outside of the show, Hannity and the president make frequent phone calls to each other. “He basically has a desk” in the White House is how one presidential adviser recently described Hannity’s association with Trump to The Washington Post. In this arrangement, Fox News isn’t the state-run media thatsome have accusedit of being. Instead, Hannity is doing his best to build a media-run presidency. Hannity is a commentator not a reporter, so his relentless advocacy for Trump doesn’t necessarily violate journalistic standards on its own. But his failure to disclose his relationship with Michael Cohen exposes his lack of credibility and integrity, and that of the network that employs him. Hannity’s popularity ― his show is the most-watched program in cable news, with over 3 million viewers each night ― means he holds unusual sway at Fox, an influence that guarantees his own immunity while also serving to bend the network’s positions to his. No wonder Fox offered its “full support” to Hannity following the Cohen disclosure. After being forced to part with Bill O’Reilly, its previous ratings king, in the wake of allegations he was a serial sexual harasser, and withadvertisers fleeing Laura Ingraham’s primetime show, they can’t afford not to. Fox has always tacked rightward, but that didn’t mean it served as an uncritical mouthpiece for the GOP. But in turning itself into Trump TV, the network has effectively abandoned any pretense of objectivity or neutrality for the short-term gains that come from embracing Trumpism. In that way, Fox’s transformation resembles the Republican Party’s own remaking under Trump, setting aside whatever principles and policies it may have held for a man who had neither. In the end, Fox may survive the Trump takeover better than the GOP does. If anything, Trump seems more likely to stay close to the network he’s had a much longer relationship with than thepolitical party he currently leads. It’s beenlong speculatedthat Trump’s real purpose in running for the presidency was to establish a platform to launch his own media empire. In Fox News’ fawning coverage of his presidency, he has gotten exactly that. Trey Gowdy's Job Is Important. Why Isn't He Doing It? Did American Right-Wing Trolls Radicalize The Quebec Mosque Shooter?